Proprietary Name: Senna S Orange What is the Proprietary Name? Non-Proprietary Name: Docusate Sodium Sennosides What is the Non-Proprietary Name? 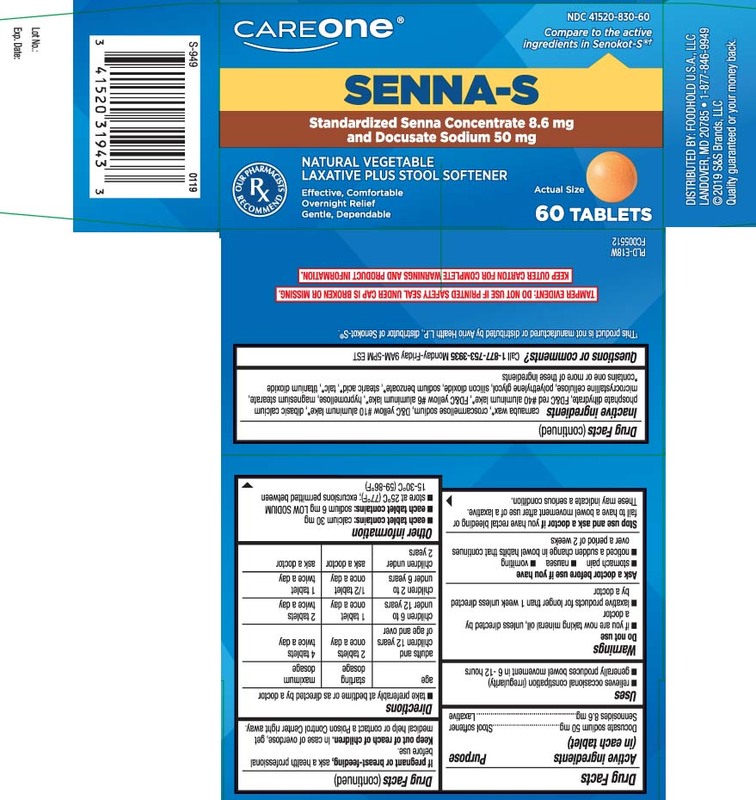 Senna S Orange with NDC 41520-830 is a a human over the counter drug product labeled by Care One (american Sales Company). The generic name of Senna S Orange is docusate sodium sennosides. The product's dosage form is tablet and is administered via oral form.